From a quiz app I have this screenshot. 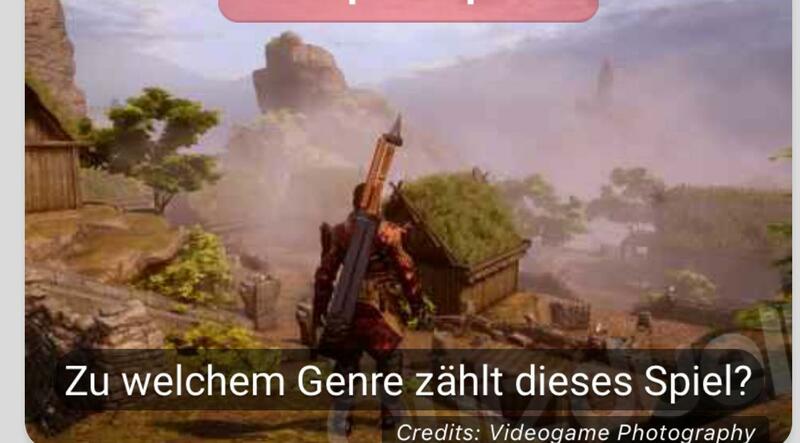 The question is just about the genre of the game which is an RPG, but there is no information about the name. The quality is kind of bad, but maybe someone knows the game. Google Picture Search brought no real results, maybe due to the writing in the screenshot. The distinguishing feature in this image is the sword on the character's back (yes, it's a 2-handed sword). The design of its blade and handle unmistakably belong to Hayder's Razor from Dragon Age Inquisition. Which NES game is depicted in this “This Kid is Awesome!” meme poster? Which game is this picture on the SteamOS announcement of? What is the name of this squad-based battle game? Which game is this screenshot from? Which Android game is this? What game (rpg?) is this? Which game is shown in this image from apple website?